March 12, 2019 - Our sisters and brothers at OPEIU Local 182 in Nashville need your help! They are fighting for a fair contract at the United Steelworkers Pension and Benefits fund (PIUMPF). More than 50% of the members who work for the fund need to work a second job and/or take in roommates to afford living in Nashville. 50% report that if they did not have a spouse, they would also need to take a second job. ​Click here and sign this petition in support of Local 182 members’ struggle. The Trans Visibility Community Festival is an annual event, held for the first time in 2019. It is an inclusive festival for the local community to come together and celebrate the journeys of trans folx. Join us for an open mic, film screenings, art exhibitors, trans organization exhibitors, food, and a raffle. Pursuant to the OPEIU Local 2 Constitution, the nomination and election of delegates and alternates to attend the OPEIU 2019 convention will take place at the Local 2 Quarterly Membership Meeting to be held on April 2, 2019 at 5:30 pm at the Capital Hilton (1001 16th Street NW, Washington, DC 20036). 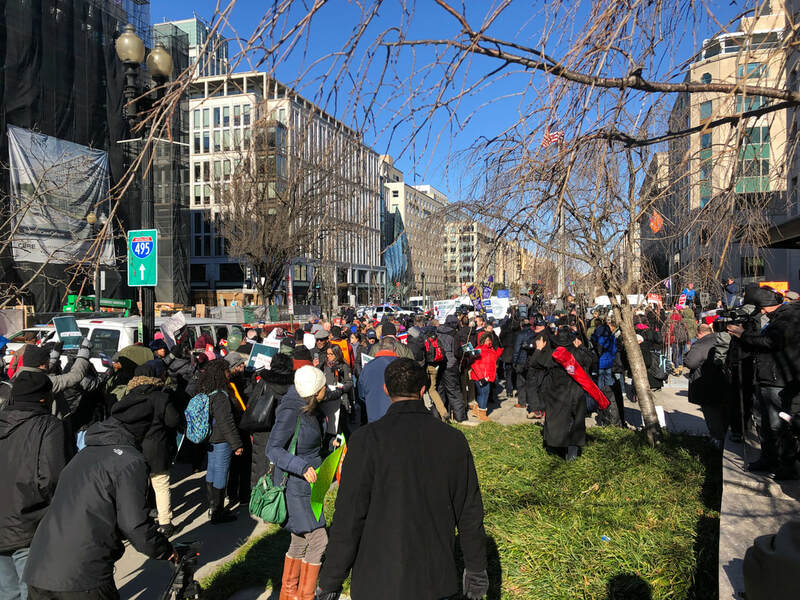 Workers from all across the area rallied on Thursday, January 10th and marched to the White House to end the government shutdown. Politicians and labor leaders joined impacted workers to pressure GOP congresspeople and to put people back to work. A reminder that the AFL-CIO has imposed a contract on Local 2 members in their downtown office. Their contract includes forced furloughs, much like what the government is doing now, and much like what the AFL-CIO claims to rally against. We will not back down on this issue. Wear your Local 2 shirts to show the AFL-CIO that we will not stand for those kinds of management tactics.